We have a winner! 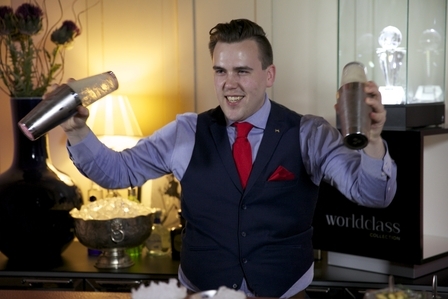 Ali Reynolds is ‘UK World Class Bartender of the Year 2015’ and will represent Britain at Diageo’s World Class global final in Cape Town, South Africa this September. Having witnessed each stage of this prestigious competition, including the final staged over three days at Drummuir Castle, in Speyside, Scotland, I can testify that his win was well deserved. 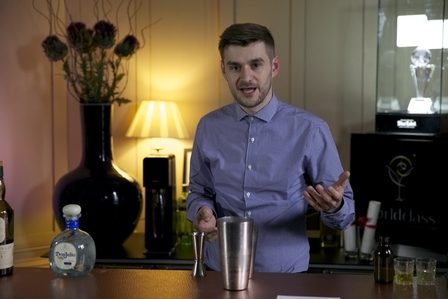 The UK leg of Diageo's World Class competition started back in November with bartenders invited to submit their signature cocktail recipes. 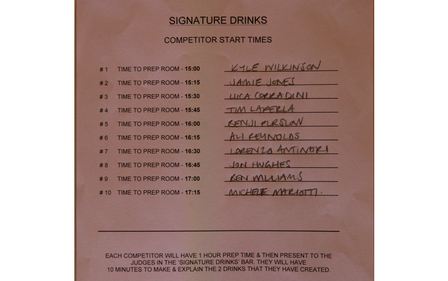 World Class judges and Diageo's own ambassadors then travelled the breadth of the UK, visiting the over 600 bars where competitors work to assess their bartending skills and taste their competition entry cocktails. 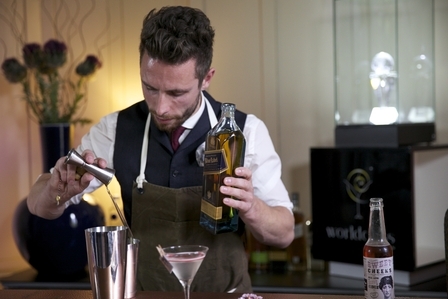 The best 100 bartenders were then invited to compete in one of two semi-finals, known as 'bursts' with the best five bartenders from each burst progressing through to the final. 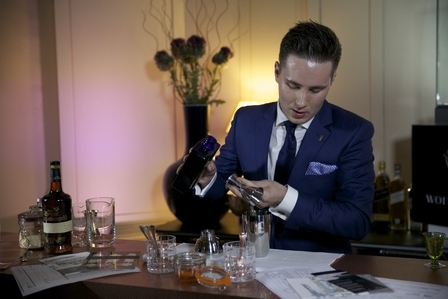 Entrants were from across the UK but seven of the ten who made it through to the final work in London bars, so the three day adventure and competition started with these seven, plus drinks writers and folk from Diageo meeting at London's Heathrow for the flight up to Aberdeen. An army may go to war on their stomachs but London bartenders go into battle on a full English breakfast. So in Terminal Two's The Perfectionists' Café, the good folk at Diageo had lined up a gourmet fry-up compete with a Heston Blumenthal black pudding and perfectly spiced Ketel One Bloody Marys. 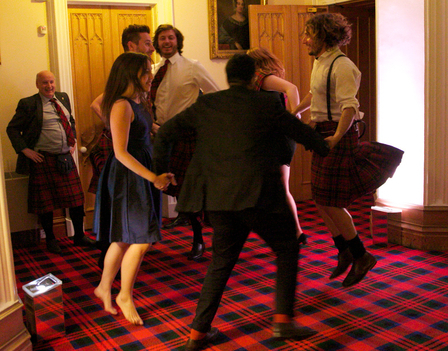 Some three hours later we met the other competitors in the Scottish Highlands at the fantastically grand Drummuir Castle. Built in 1847 for Admiral Archibald Duff and now owned by Diageo, this is a splendid example of Scottish Victorian architecture, complete with battlements, turrets and gargoyles. This challenge was basically food pairing with a difference. 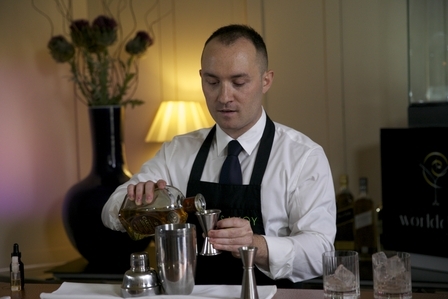 Many of the ingredients in the two dishes being served were foraged from the grounds of the castle, and the ingredients the bartenders were given to make their drinks included Sweet Sissily, Tanzie, Meadow Sweet and Spruce tips. 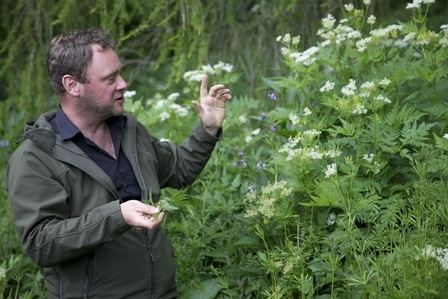 Expert forager, Mark Williams, was our guide through the castle's grounds where he showed us the rich bounty of cocktail ingredients the British countryside offers. For example, Burdock Root, long associated with drinks in the UK, has deep warming aromatics, while sweet Sissily, a member of the carrot family, is bitter and ephemeral with aniseed flavours. Mark described Spruce Tips as "abundant natural acidifiers." 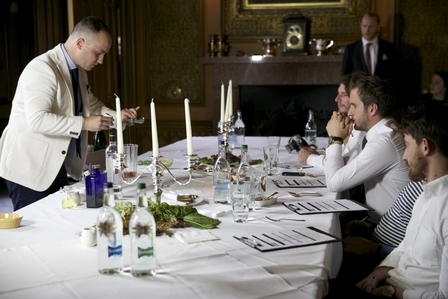 Each competitor was given an hour to design their two signature cocktails, one to match the main course and the other dessert. This was a tough challenge and according to the judges few managed to combine harnessing the flavours of the plants Mark provided with truly successful food matchings. 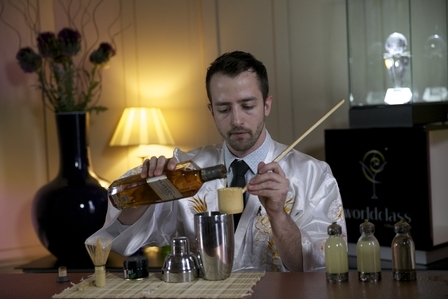 A tip for other bartenders to remember is the power of suggestion. The competitors who did well in this round explained to the judges what they were trying to achieve with their drinks and the flavour combinations they hoped the judges would experience. 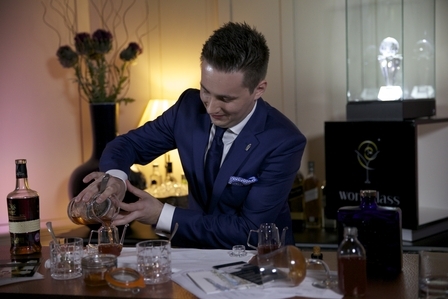 Held at Diageo's Cardhu Single Malt Whisky Distillery, not far from the castle, this challenge centred around a fabulous blended scotch especially created for the competition by Johnnie Walker's master blender, Jim Beveridge. 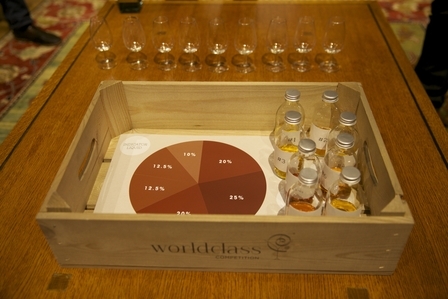 The competitors where challenged to identify the whiskies, decide what percentage of each whisky was in the blend and then map the flavour of the blend on a flavour map. 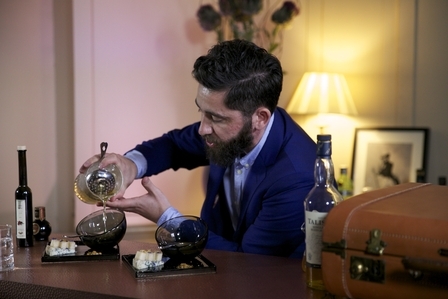 The trick to this competition was firstly to identify the two grain whiskies and then decide which one was used in the blend - Cameron Bridge was the base while Haig Club was one of the two rogue whiskies. 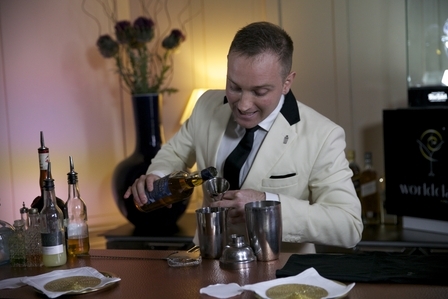 Although the scores from all three challenges roughly equally contribute a third each to the overall score, the Signature Serve Challenge is the most anticipated and the only challenge where the bartenders can prepare what and how they are going to present in advance. 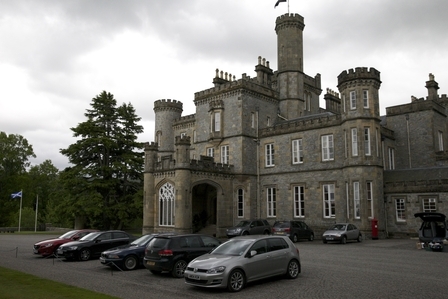 The setting for the challenge was one of the grand rooms at Drummuir. 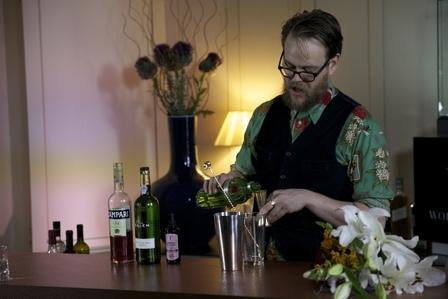 Each bartender had to make two cocktails, the first representing them and the second representing their venue or alternative venue. Inspiration: Mushy peas and mint sauce was a childhood favourite dish. 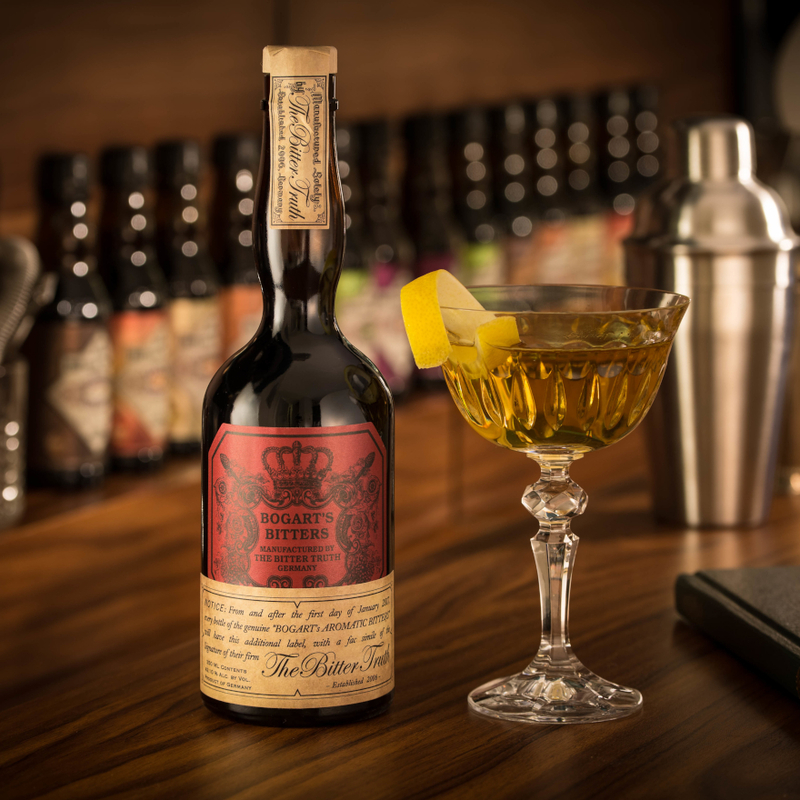 Inspiration: Long Island Ice Tea based on Laguvillan served with Thomas Patterson poem. Inspiration: Cocktail shaker and Tanqueray No. TEN with, cordial in embossed jar, birch wood infused with kaffir lime leaf, splash of sugar and citric acid. Cross between a martini and gimlet. Cloudy to start and then settles. 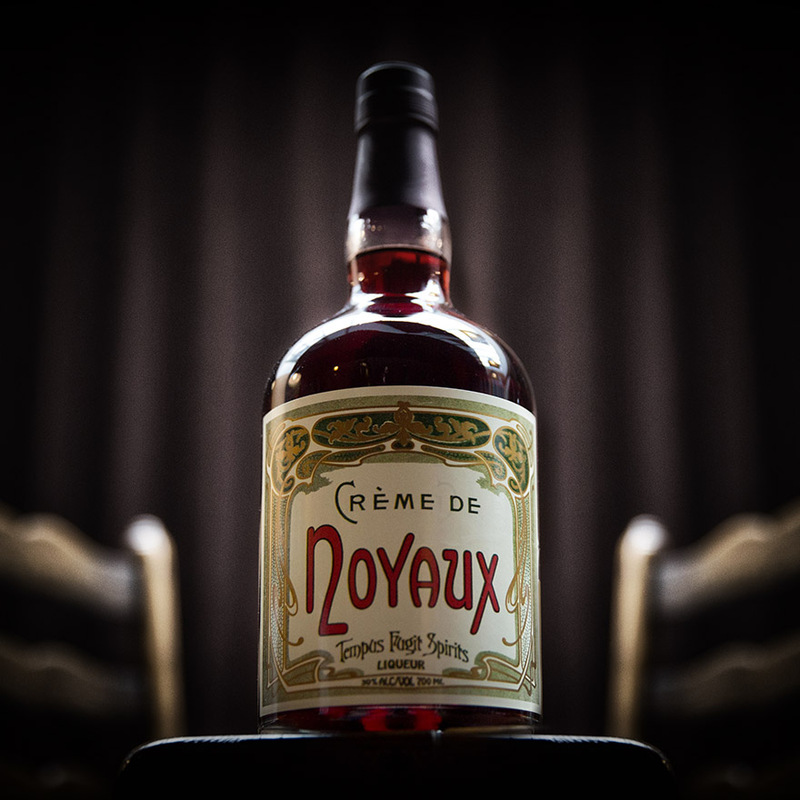 "This drink goes with my lifestyle and travelling." Inspiration: Beetroot and walnut gives a lovely terrior addition to the Talikser with leatherwood and honey brining another dimension, this is like drinking liquid earth. 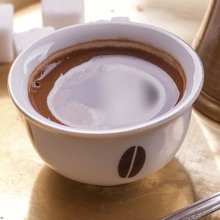 Drink with a spoon to control each measure and bring aeration to each sip to release the armoas. Served with blue cheese and Chinese pear. 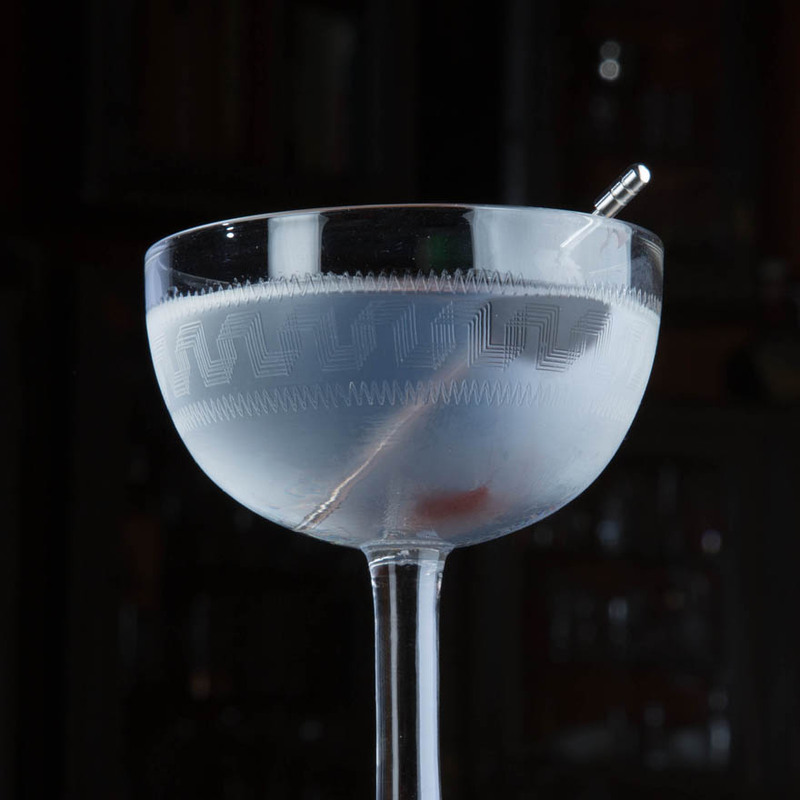 Inspiration: Twist on a White Lady, the iconic cocktail of the Savoy's American Bar. Serve in coup and golden plate to represent the sand for Talisker Storm. Notes: Red Bar is noted for being pan-Asian so Tim served his drink in a Japanese tea cup with dry seaweed and used the Matcha tea ceremony as a nod to John Walker's tea heritage. Inspiration: Served in Vegemite jars as Tim is Australian and you either love it or hate it representing his risking everything moving to the UK. 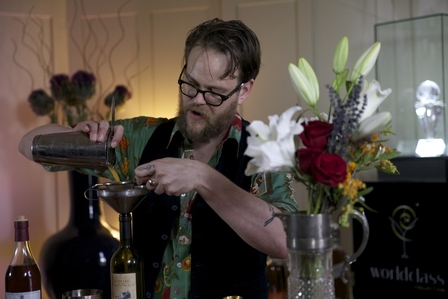 Tim's great love is American whisky and his drink is a twist on a Boulevardier. 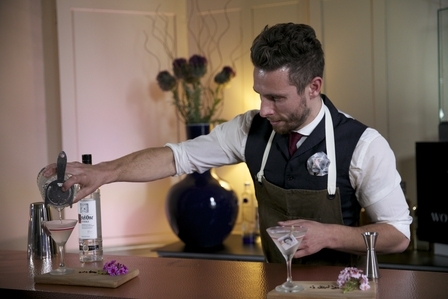 Inspiration: Benji has a great love of both flower arranging and gin. This drink is a tribute to his mother who he always used to flower arrange with. Inspiration: Using the flavours of Italy, Beji transported judges to the Italian countryside, where his dream bar would be using an Oculus Rift virtual reality headset. 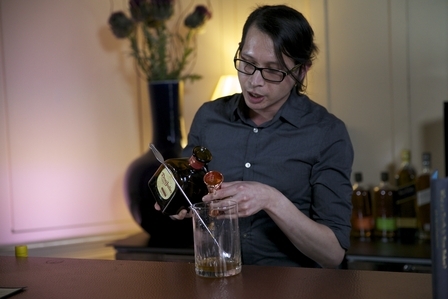 Method: Add pinch of citric acid into a mixing glass and dissolve with all the other ingredients. 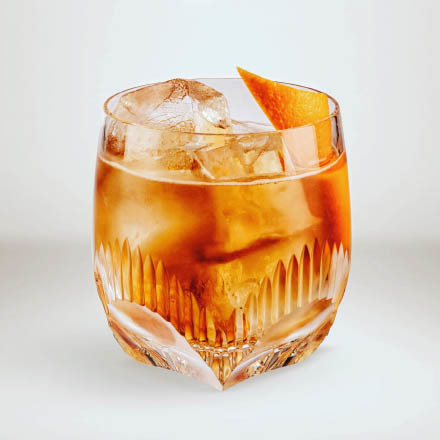 Stir over cubed ice and strain into cocktail glass. Method: Shake all ingredients apart from Champagne. Strain into glass and top with Champagne. Zest Grapefruit over the top. Inspiration: Seasonality, simplicity and balance. "Time in Italy when I was riding a bike, reminds me of grass and the outdoors." Served with an unbalanced situation - in a rocking oak vessel. 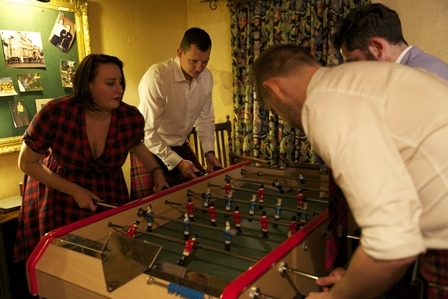 Inspiration: Served with tradition and family in mind, the folk at the Beauford Bar being Lorenzo's extended family. 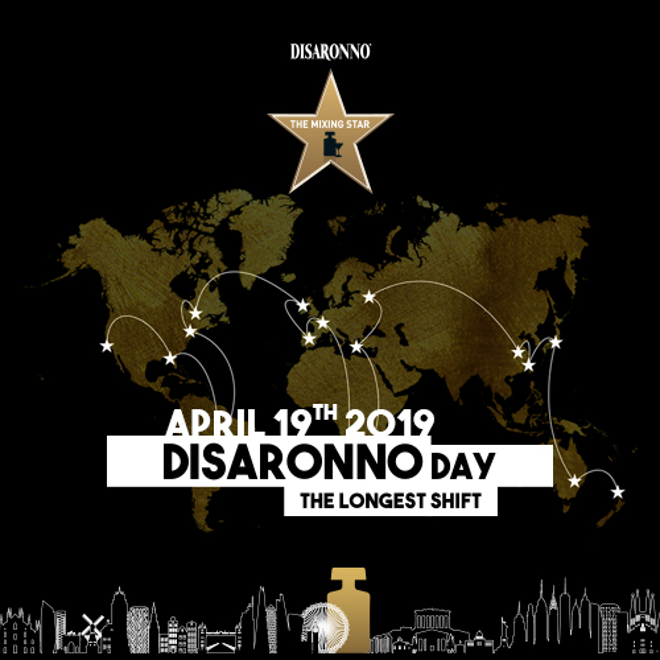 Cocoa nib and tarragon, smell of burnt coffee all remind Lorenzo of Italy. His favourite artist is the Vasilican artist Viski, he is inspired his work. 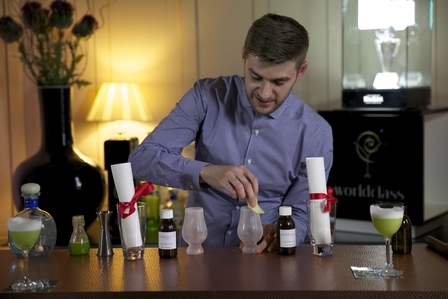 Inspiration: A layering of flavours over Don Julio, Jon was keen to use a shrub to produce this textured, full-flavoured and refreshing drink. 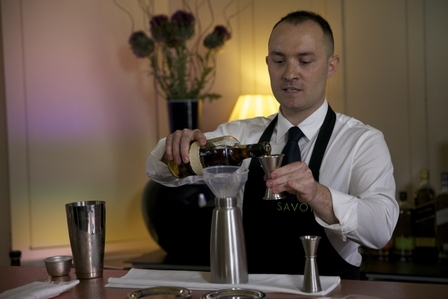 Inspiration: Bringing Dirty Martini-style drink to an aperitivo through the use of flavoured vodka and olive oil. 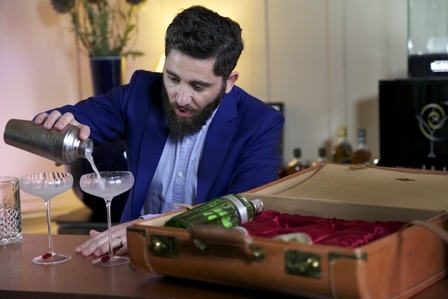 Inspiration: Ben's favourite cocktails are Mai Tai and Negronis - hence his Mai Zergroni served with personalised card box (he also loves gambling/poker). Served and almond infused with Tanqueray No. TEN, sweet vermouth, lime, grapefruit twist and thyme. Inspiration: Cloud 23, the tallest residential building outside of London. 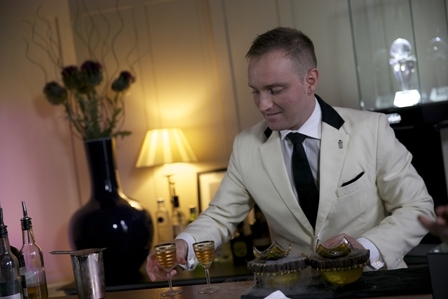 Inspiration: Michele's Milano-Torino marmalade was a unique mixture of orange, grapefruit and sweet vermouth. 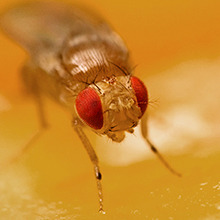 Michele started working in a travel agency and then moved into bartending. 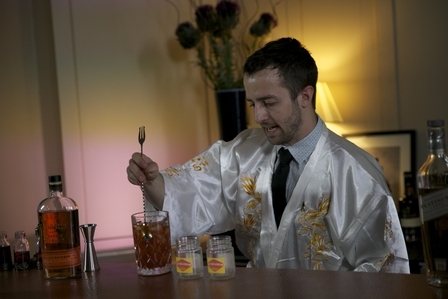 His drink represents something ending up being something else. 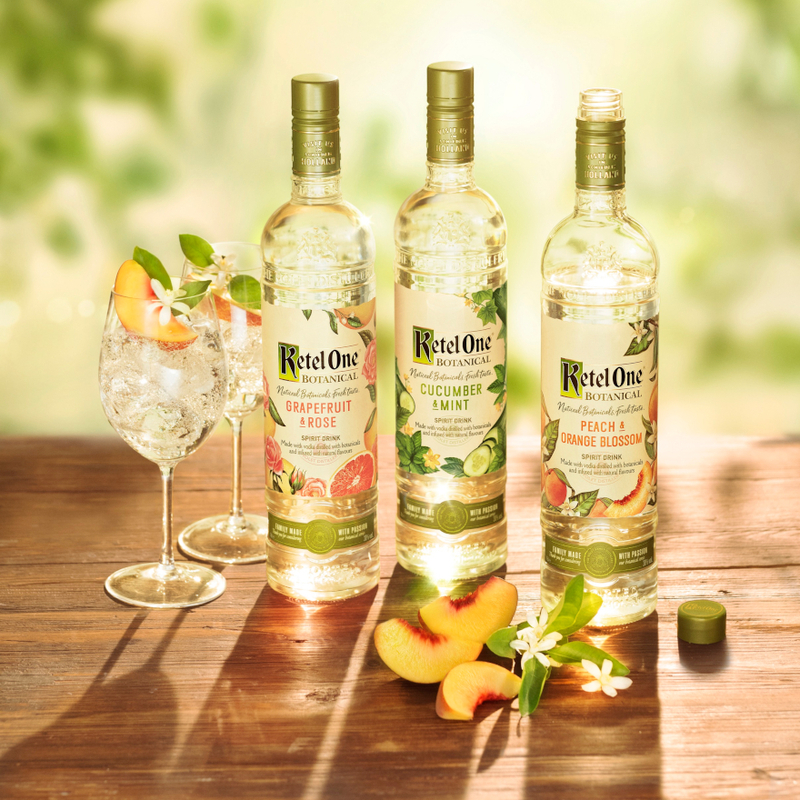 Inspiration: Homemade sweet and sour drink based on a Riesling with citrus herbs. Inspired by a tea serve as it is based all on sharing - served in a tea setting. 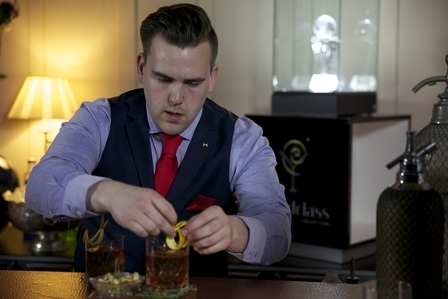 As I've said, World Class is not only about competing to find the world's best bartender, it also offers once in a life experiences - especially for national and global winners. 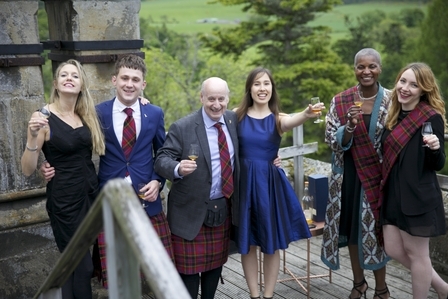 Three days at the stately Drummuir Castle is an experience in itself but Diageo also laid on some sumptuous meals, including dinner at Craigellachie Hotel. 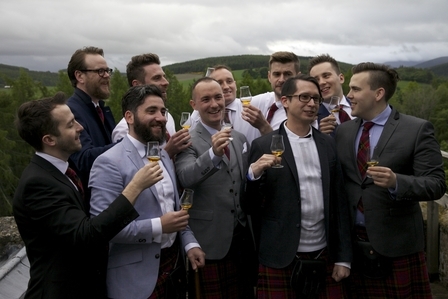 They toured both Cardhu and Cragganmore Distilleries, toasted with 30 year old malt whisky on the roof of the castle, danced to a Scottish piper while wearing kilts and drove tank-like vehicles around a highland hill (thankfully while not wearing kilts). Sadly there could only be one winner but everybody enjoyed a very memorable few days with those that took part joining the growing World Class bartending fraternity.